Each visitor to your website through a search has an intention in mind; the searcher took the initiative to actively look for something. The greatest SEO potential lies in optimizing pages to rank better for informational key phrases, as these searchers aren’t necessarily looking to achieve a quick task (like finding a brand’s page or purchasing an item right then and there) and move on. So they are more likely to enter your sales funnel and become viable leads upon discovering the value you offer or service. 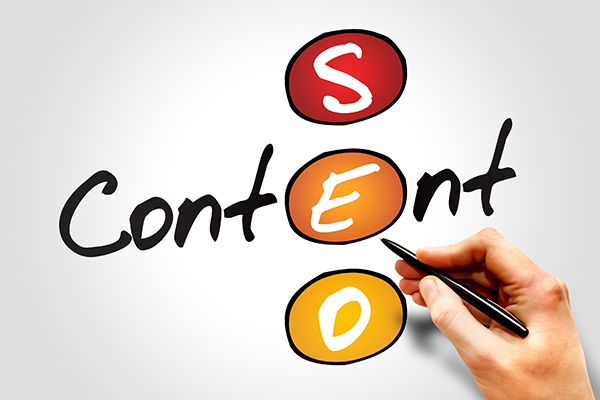 Finding the keyword phrases that people are searching for, and that your content has a good shot at competing on, will get your SEO efforts moving in the right direction. But, there are other things you can do to help Google’s search bots surface your content as being relevant to searchers’ queries. Remember, there is a limited number of slots on the SERP for organic rankings (since much of the page can be taken up with ads, promoted listings, images, and more – especially if your target keyword is highly competitive). You need to make your attack on several fronts all at once. This is where an on-site SEO strategy comes into play. Find the phrase: We want to make sure that its s phrase people are searching for, we have a chance of competing, and that when someone lands on the page that they are happy with the information and stay on our page. When creating the content try and add the phrase to a few areas of the page. DO NOT overuse so it does not make sense. I would name my page this, as well as the title and the URL – then use it in the body copy as well without it looking or sounding overused. Here is a post on the anatomy of a page. Use LSI or Semantic key phrases in the content. These are words that are semantically related or similar in meaning. The best way to find the ones that google likes is to type in your main keyword phrase. Then scroll to the bottom of the page and look at the related searches. Or as you are typing look to see what words google to trying to auto fill. Ok – now make sure you have at least 500 words on content on the page. You have added an image and named its file name and alt text with some similar phrases. Then interlink the page or post to other appropriate pages of the website. Done – Publish – Share!